So far the Vento was available with two engines ? a 1.6-diesel and a 1.6-petrol. Though the former was torquey, nice to live with and fuel efficient, the petrol wasn't as likeable. And the 1.6-petrol automatic was easily the least likeable of all Ventos. It had a 6-speed torque convertor, but it was loud, and not very efficient or quick. The newly launched Vento TSI, though, is. It too is an automatic, but it runs a DSG. And we all know how well Volkswagen DSGs work. The DSG is mated to another of our favourites ? VW's 1.2-litre, direct injection, turbocharged petrol. Yes, the complete drivetrain setup is borrowed lock, stock and barrel from the Polo GT TSI, which, as our reviews of the hatchback is the past have revealed, is a good thing. - Will the Volkswagen succeed where other enthusiast centric cars have failed? 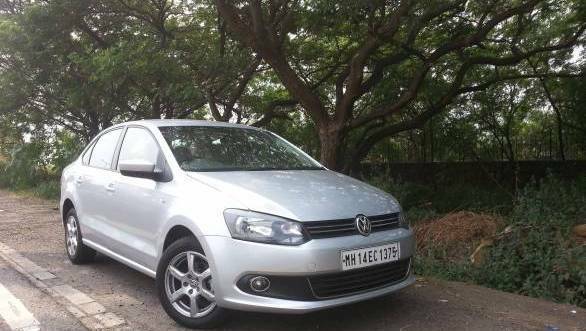 Furthermore, the Vento TSI, just like the Polo GT, feels effortless to drive, particularly in the city. The engine is quiet, the gear shifts are seamless, and the tractability is very good indeed. The throttle response too leaves little to be desired. Even on the highway, the Vento TSI pulls along strongly all across the rev range. And it never feels strained or unrefined. The Vento TSI takes 4.9s to hit 60kmph and just 10.8s to hit 100kmph. These times are slower than the Polo GT TSI (which was expected given the Vento's additional weight), but compared to the 1.6 automatic Vento, it's nearly four seconds quicker. Even in kickdown, the Vento TSI simply leaves the regular Vento automatic for dead. Not surprisingly, the TSI is also more economical. It returned 12.8kmpl in the city and 19.1kmpl on the highway giving it an overall figure of 14.4kmpl. 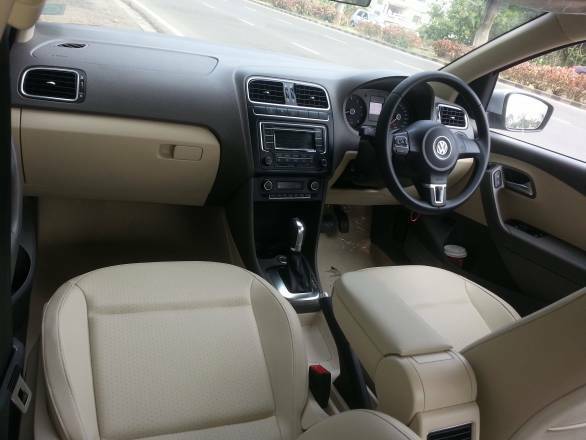 The 6-speed Vento auto, meanwhile, had only managed an overall figure of 10.4kmpl. Nothing has changed in terms of ride and handling though. The Vento TSI runs exactly the same underpinnings as the remaining Vento range. This means the ride in the city is acceptable, the stability on the highway at high speeds is good, and the handling around a twisty road is safe if not thoroughly enjoyable. The Vento TSI at Rs 9.99 lakh, ex-showroom, isn't cheap. It costs Rs 20,000 more than the Vento AT. 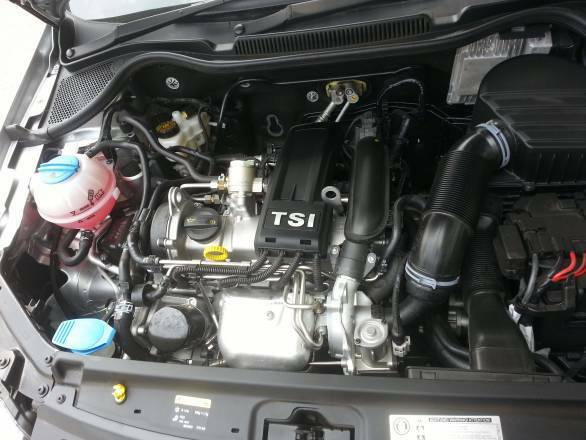 But, apart from a better drivetrain, better economy and a better driving experience, the TSI also packs in ESP, which is missing on the Vento AT. 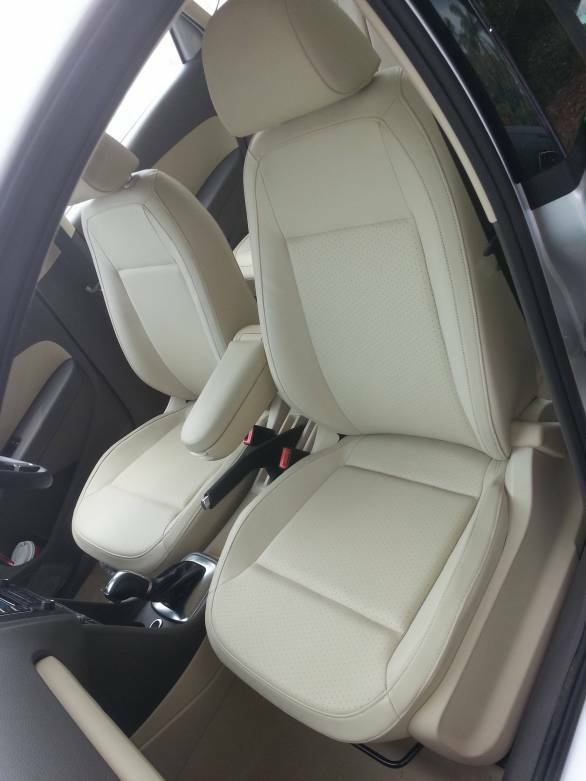 The Vento TSI also comes with leatherette seat covers, by the way, uplifting the car's ambience to a degree. Clearly, between the Vento AT and the Vento TSI, the latter is the better car. And, with the introduction of the Vento TSI, there's no real reason anymore to buy the former. But, why just the Vento AT, the TSI, in fact, makes such a strong case for itself that it might just be the automatic sedan to buy in its class.